I hope everyone is having a great month so far. It's the 8th, so there's plenty of events open today, so many that I have a hard time keeping track of them all! However, I was in an elven mood today, and want to focus on some more goodies that are available at We <3 RP. 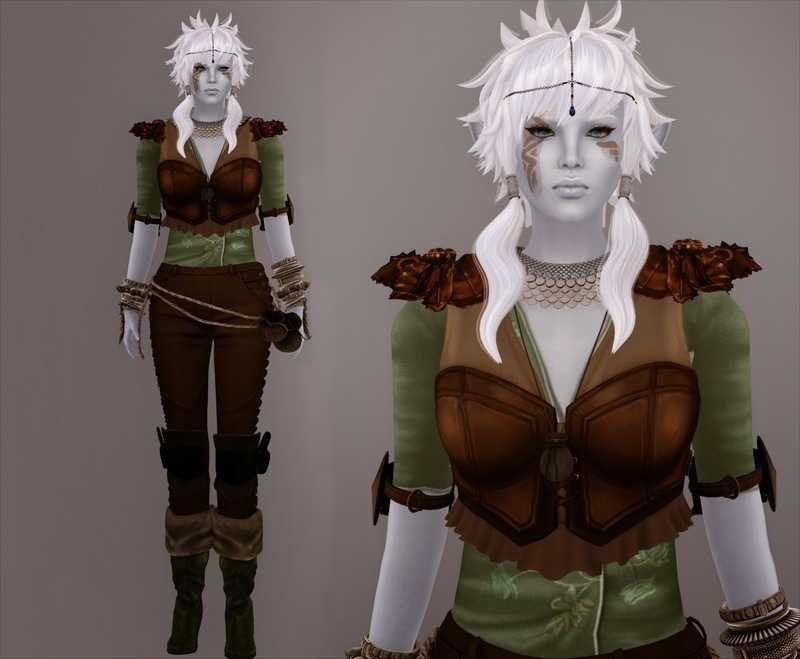 Just about all of my outfit can be purchased at WLRP, including this new skin from Lumae, which come with some great elf ears to match. Also, be sure to look at the different accessories available from both ieQED (who has some cute holly pauldrons), The Forge (who has out scale hand guards and a collar style necklace) and also Miamai (with some great all purpose arm and leg pieces). I am wearing Pixicat's Maiden top from a previous WLRP, along with the Buccaneer boots from Lassitude and Ennui, and these great laced pants from Ison. I'm sure you can now find all of these items in their respective stores if you have previously missed out on purchasing them.